Expect more questions involving Florida-centric issues when the two Republicans running for governor meet again next month. The lack of Sunshine State topics — from education and the future of citrus to offshore drilling — was a sore subject at the Gaylord Palms Resort & Convention Center after last week’s Fox News Republican gubernatorial debate between Agriculture Commissioner Adam Putnam and Congressman Ron DeSantis. It also wasn’t missed by Florida Democratic Party Chairwoman Terrie Rizzo, who expressed confidence that her party will retake the governor’s mansion after two decades based on what she heard during the debate at the Osceola County resort. The direction of questions was a choice of the moderators. But that focus on more national and international issues drew a reaction from Putnam, who after the debate made a point of noting how he tried to steer responses to the importance of knowledge of the state. His campaign kept up that theme as this week began. “Adam Putnam ‘Florida’ mentions triple DeSantis in Fox News debate,” the campaign said in a news release Monday. “During last week’s Fox News debate, Adam Putnam mentioned Florida 75 times in the one-hour debate versus Congressman DeSantis who only mentioned Florida 28 times,” the release began. DeSantis, who represents a Northeast Florida district in Congress and grew up in Dunedin, did well in covering the cable channel’s issues before the national audience and in his post-event responses. 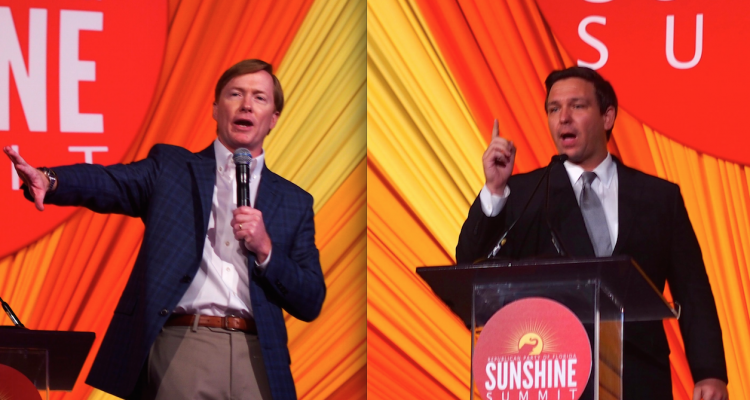 However, in an appearance Friday by himself at the state GOP’s “Sunshine Summit” — Putnam also had time on stage that day — DeSantis’ team showed it had monitored the reaction to the debate by coming equipped with a laundry list of how he cares for Florida. “There were at a lot of issues that I wanted to get to last night that we didn’t,” DeSantis said. Many overlap national issues, such as opposing “common core” education standards and calling for more classroom time spent studying principles in the U.S. Constitution. 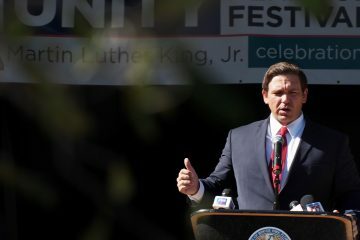 But DeSantis also said he would sign legislation to require that Florida businesses use the U.S. Department of Homeland Security Employment Authorization Program, known as E-Verify, to determine if newly hired employees are undocumented immigrants. 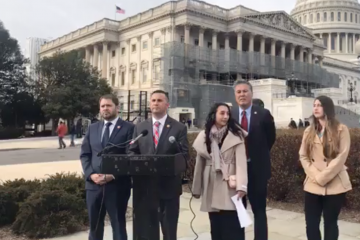 That has been a red-meat issue for conservatives for more than a decade but has been opposed by farm and business groups who contend the federal program would make it more difficult to find workers. DeSantis also tried to draw a contrast with Putnam in discussing support for coastal communities impacted by toxic algae blooms blamed on releases from Lake Okeechobee. Sugar farms in the Everglades Agricultural Area have been blamed for contributing to pollution in the lake.